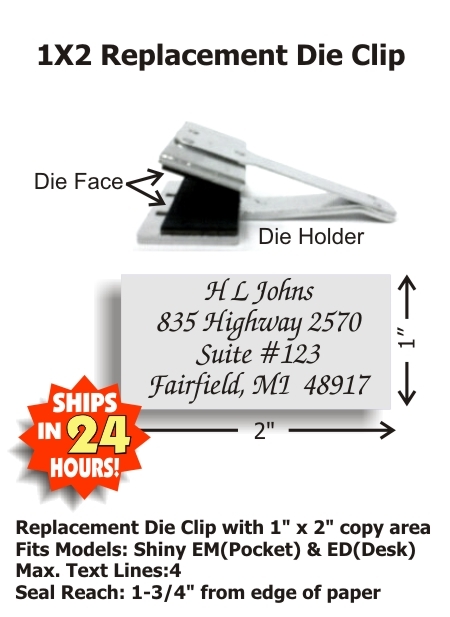 Replacement Seal Clip For Shiny Brand 1x2in Pocket Or Desk Embossers By Fredlake. 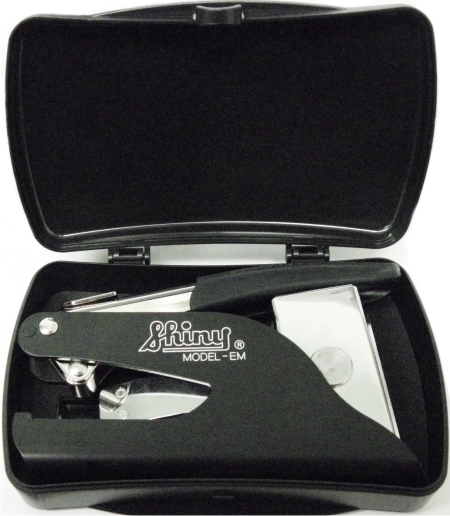 1" x 2" replacement seal clip fits all Shiny® brand POCKET (EM) or DESK (ED) seals. Standard throat allows for an impression reach up to 1-3/4in. from edge of paper. Will also fit our FLL brand handles as well as the PerfectSeal Motorized unit. Normal production time is 24-48 hours, not including weekends and holidays.